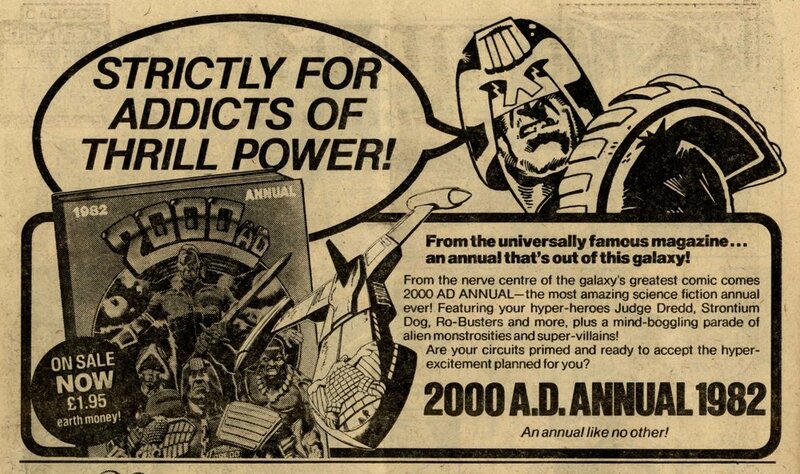 I chose to look at this prog today because of the significance of its containing the first episode of Gerry Finley-Day and Dave Gibbons’ Rogue Trooper – one of 2000AD’s most well-known and popular series. Early Rogue is terrific stuff. When Tharg announced that a new series had been commissioned in response to readers’ demands for a ‘Future War’ story, my 11-year-old self felt distinctly unmoved; soldier games weren’t my thing, and I don’t think I even knew what ‘Future War’ really meant. But this turned out to be a great story, set on a well-built world, featuring an intriguing protagonist with a number of clever unique character aspects. The script had great pace, and Gibbons’ artwork was just stunning – there was something distinctly not-quite-human about Rogue, even in black-and-white, yet he was relatable and sympathetic. A classic, and while I haven’t managed to keep pace with all the twists and turns in Rogue’s own story in the intervening years, it’s great to see the continued successful development of his fictional universe – with stories such as Jaegir and Hunted in the current prog, and Rebellion’s popular game franchise. It was only after reading and scanning the Rogue Trooper pictures below that I turned to the rest of this issue, and started to remember what an absolutely superb phase of 2000AD’s history this was. 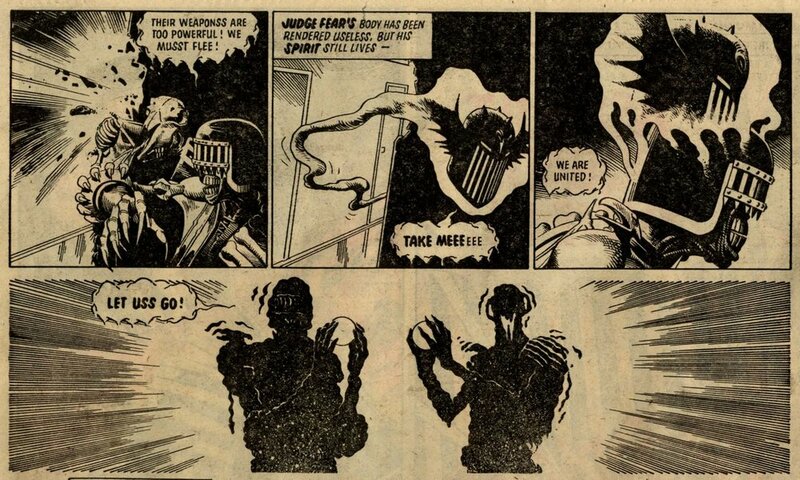 Judge Dredd and Anderson visited Deadworld in the final instalment of the brilliant ‘Judge Death Lives’ story by John Wagner, Alan Grant and Brian Bolland. Nemesis the Warlock visited Torquemada’s chief executioner, Brother Gogol, in one of the most memorable episodes of Pat Mills and Kevin O’Neill’s masterpiece (and, reading this back now, I’m astonished not only by the depth of anti-fascist subtext in the script nor the darkness of the art but also that I was able to take so much of this on board as such a young kid. I’m also very grateful to the creators for having the belief in my and other young readers’ capacity for understanding and appreciating this sort of stuff). The Mean Arena (Tom Tully and Eric Bradbury) is in there – another one of my favourite serials. Ace Garp makes an appearance, as Tharg trails the forthcoming launch of Ace Trucking Co., and there’s an intriguing visual ad for the story. And as if that all wasn’t feast enough, the prog ends with the opening of another wonderful Strontium Dog story (‘The Kid Knee Caper’) by Grant and Carlos Ezquerra. Could this be ‘The greatest ever prog’? There’s a strong case for it. Possibly I would find an equal contender or two from some point during the previous year, when long-running sagas Meltdown Man by Alan Hebden and Massimo Belardinelli and Return to Armageddon by Malcolm Shaw and Jesus Redondo were running in 2000AD. But it’s a very close call. Let me know if you have any favourite single issues.